Deskercise is the ability to do exercises at your desk while working with minimal interruption to your day and work flow. Moving throughout the day can help improve your overall health as well as your productivity. Who says you need to go to a gym to keep in shape? 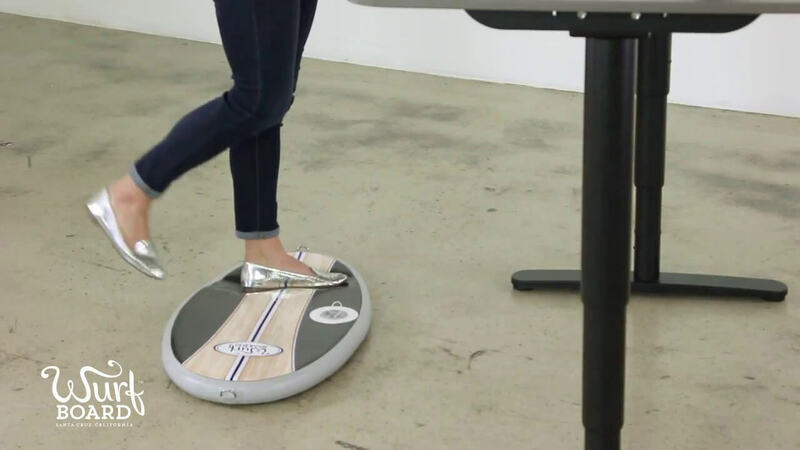 The Wurf Board is a great way to integrate movement into your day and relieve tired stressed muscles. Deskercise can be done while standing and working or can include a two-minute breaks to focus both the mind and body. Check out some of these deskercises today or download this quick reference guide. 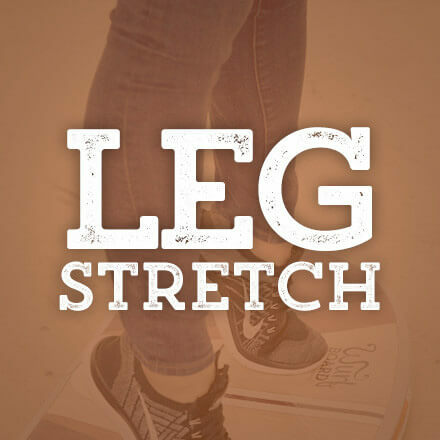 Continue working while doing these four simple desk exercises to stretch and strengthen your feet, ankles and calves, allowing you to stand longer. After completing a task, take a moment to deskercise the stress away in your shoulders and give your arms a break. Allowing you to reset for the next task at hand. Take 2 minutes to try these leg stretches between tasks to both move your mind and body. Movement through the day will help you stand more comfortably. 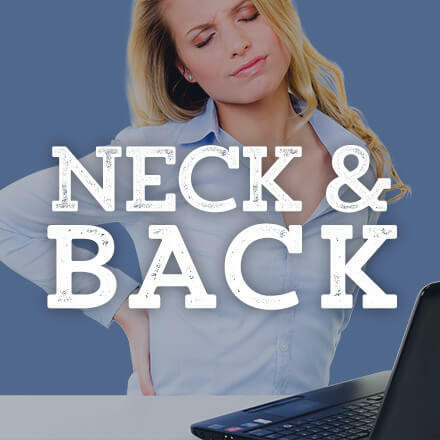 Moving while working goes a long way to helping alleviate neck & back pain that has become all too common. These 4 quick deskercise will help you move! Strengthening the feet, ankles and calves is the key to standing longer. These simple yet effective exercises can be done without interrupting your work flow. They are easy on the mind and good for the body. Stand facing the desk with your feet in a neutral position about hip-width apart. Place one or both hands on your desk for stability. Shift your weight onto one leg. Slowly rotate your opposite ankle to the side so the foot is resting on edge and you begin to feel the stretch. Hold this position for a few seconds and return to the neutral starting position. Shift your weight to the other leg and repeat the stretch on that side. This is another good Wurf Board movement you can do at your desk. Start by standing in front of your desk with your feet hip-width apart and your hands on the desk. Shift your weight onto your toes and lift your heels as high as you can. 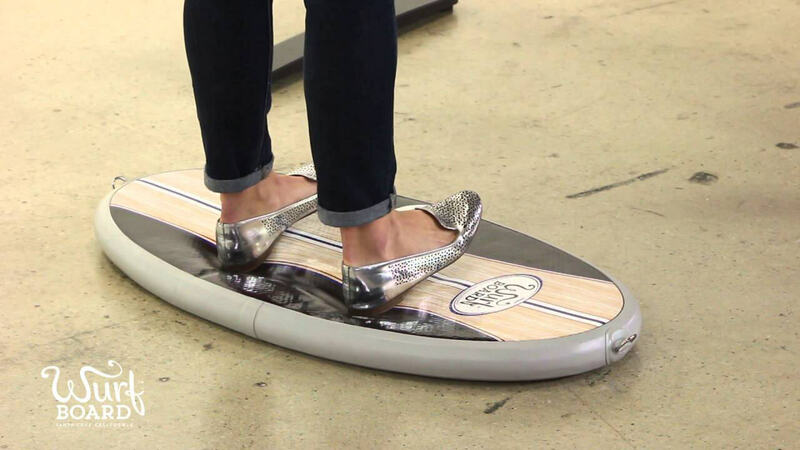 Drop your heels back to the board and repeat the movement. These heel lifts will stretch the muscles in your lower leg and promote muscle tone during your workday. 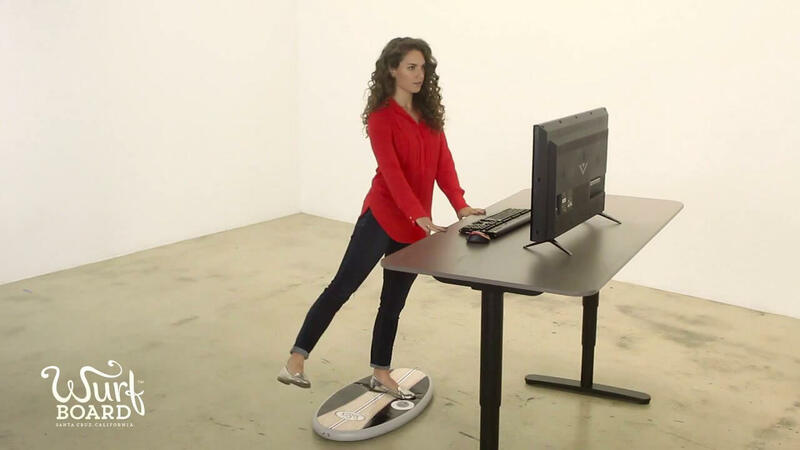 Start this exercise by facing the desk with your feet about hip-width apart on your Wurf Board. Use your hands and hold onto desk for balance. Shift weight to your heels as you lift your toes as high as you can. 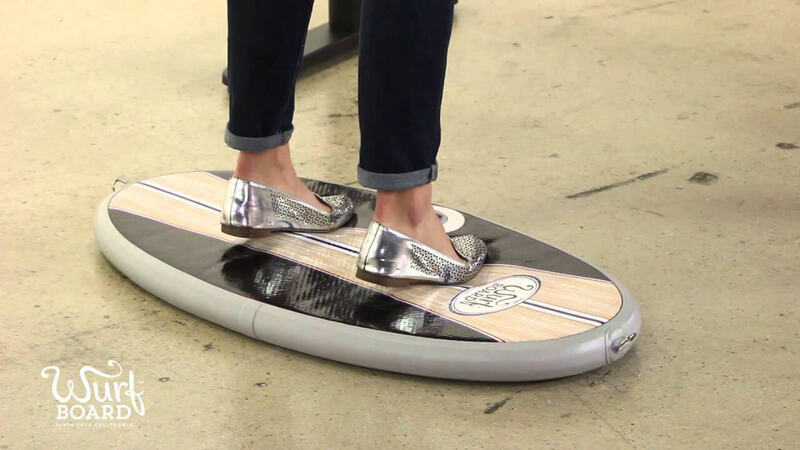 Bring your toes back to the board and then repeat the movement. Use this exercise to strengthen the shin muscles at the front of your lower leg. You can do this quick exercise to improve circulation in your legs while you are at the desk concentrating on your important work. Start with your feet in a neutral position about hip-width apart. 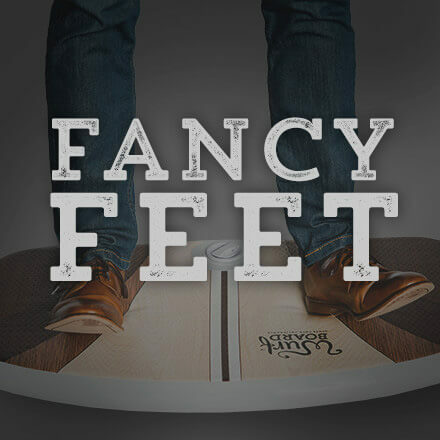 Shift your weight to one foot. Raise the other foot so the heel is up and the toe is resting gently on the Wurf Board. Slowly rotate the ankle around in a circular motion. Pause and reverse the direction of ankle rotation. Lower the foot back to the board. Raise the opposite foot and repeat the exercise. Return to the neutral standing position when done. As the day wears on, sitting or standing hunched over can cause the shoulders to tense. After completing a task, stretch the stress away with the deskercises. Taking the few minutes can also calm your mind for the next task at hand! This exercise is good for relaxing your shoulders and improving your posture while standing at your desk. Start this exercise by standing erect facing the desk with your feet in a neutral position about hip-width apart and your arms down at your sides. Slowly rotate one shoulder up, backward and then down. Continue this shoulder rotation for 5 to 10 reps.
Then, pause and reverse the direction by rotating the same shoulder up in a forward motion. Alternate the exercise between the shoulders on both sides of your body. Here is another exercise to break up the workday. It targets the deltoid shoulder muscles and can also strengthen your upper back. Begin standing at your desk with your feet hip-width apart. Simply raise your arms until even with your shoulders. Slowly lower the arms back to your sides. Repeat the movement 5 to 10 times. You can provide an additional challenge by including soft hand weights appropriate to your abilities. Hold the weights securely at your side. Then, raise and lower your arms repeating the movement according to your fitness level. Begin by standing erect facing the desk with your feet in a neutral position about hip-width apart and your arms down at your sides. Raise one arm so your elbow is pointing up next to your head. Drop your hand behind you so it is angling down touching the middle of your back. Take your other hand up above your head and apply downward pressure to your elbow until you begin to feel a stretch in your triceps. Hold this position for about 5 to 10 seconds. Release the stretch slowly and repeat with the opposite arm. This is a very simple relaxation exercise you can do while working at your desk. Raise your shoulders up toward your ears as high as you can. Slowly shift your weight to one side. Hold the position for 5 to 10 seconds. Then, release, lower the shoulders and repeat. The exercise develops the “trapezius” muscles which run from the back of your neck down over your shoulders. Weights can be used to increase resistance and additional muscle toning. Moving your body can help move your mind. Take a few minutes every 90 minutes to stretch your legs and reset your mind to the task at hand. As your leg muscles strengthen you will be able to stand longer. Stand facing the desk with your feet about hip-width apart. Slowly step off the board to the side with one foot and then back on. 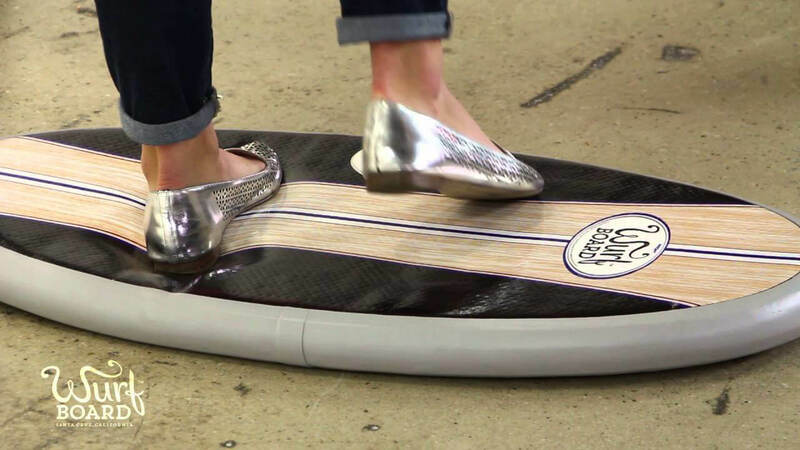 Step your foot off the board to the opposite side and then back on. Repeat the exercise for 10 or 15 times. This is a simple way to keep your mind and body in motion. This exercise can be done throughout the workday to maintain the circulation in your legs. Place your hands on the desk for stability as you are standing on the board with your feet in a neutral position. Shift your weight to one foot as you slowly lift the opposite leg straight backward. Use your hands to maintain balance. Return the foot to the Wurf Board and repeat with the other leg. Stand facing your desk with feet hip-width apart and hands on the desk for stability. 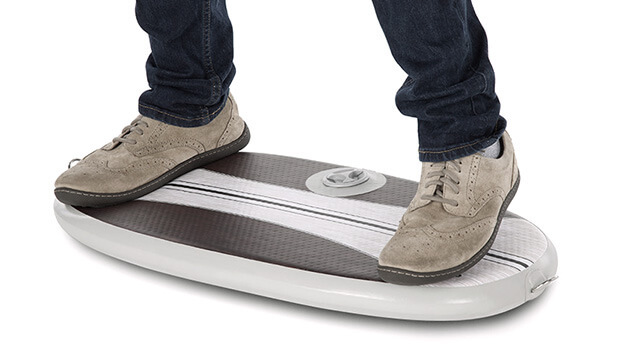 Slowly raise one leg out to your side and back to the board. Alternate this leg movement from side to side. When done resume the standing position and relax. You can do Leg Curls while you are facing your desk or facing to the side. You should start with one or both hands on the desk until you can safely do this routine while balancing on one foot. 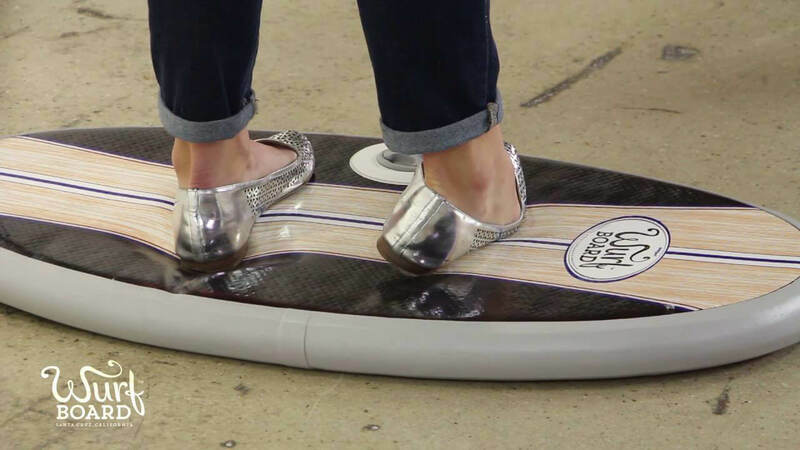 Start with both feet on the board. Then, gently raise the leg on the other side so your heel curls up toward your glutes. Lower the leg, shift your weight to the other side and repeat with the opposite leg. Neck and back pain have become common complaints in the work place. Sitting or standing while using a computer can strain these sensitive areas. In between task take a few minutes to try these simple exercises to move and stretch. Begin the movement by standing on the board with your arms to your sides. Slowly extend your arms up above your head and reach toward the ceiling. Move your head and arms backward as you make a slight arch to your back. Pause and hold for a few seconds. Slowly return the arms forward to the straight up position. Then repeat the backward and forward movement for 5 to 10 reps pausing for a few seconds each time. You can do this easy exercise to relieve tension and relax tight shoulder muscles in your upper back. 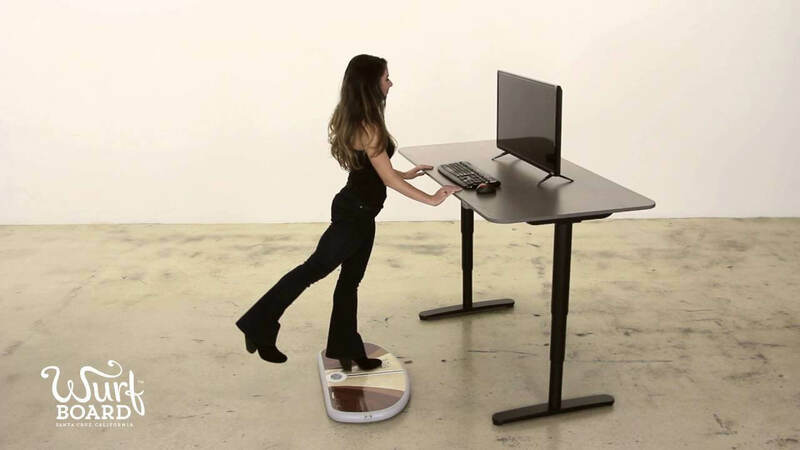 The movement also helps you to maintain correct posture at your standing desk. 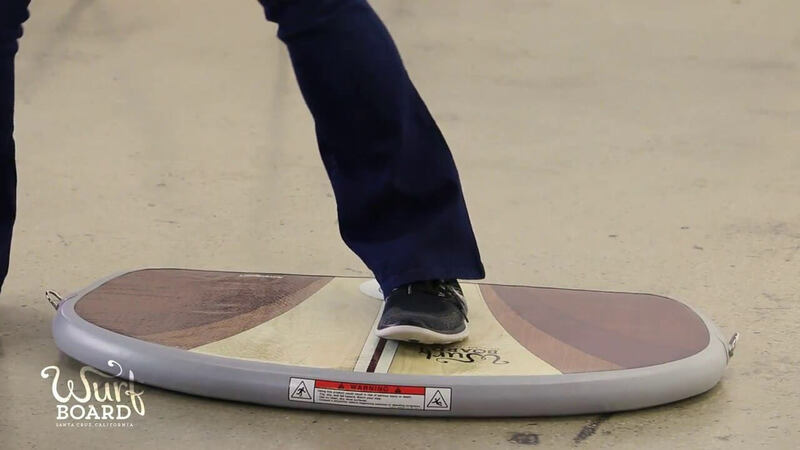 While you are standing with feet in a neutral position on the Wurf Board, simply bring your arms up to shoulder level and then wrap them around your sides as though you are giving your self a hug. Return your hands outward, then back and repeat the movement 5 or 10 times. Bring one arm up placing your hand at the back of your head. Slowly bring your chin down toward your chest applying a slight amount of pressure with your hand. Pause and hold for a few seconds when you begin to feel the stretch. Return your head back to a neutral position and repeat the movement. When done, return your arm to your side and resume your upright neutral position. Slowly reach to the top of your head with one arm. Pull your head gently toward your shoulder. Slowly release bringing your arm down to your side and your head back to a neutral position. Repeat the stretch with your other arm pulling your head in the opposite direction. For a quick reference guide on more deskercises, download this printable poster or email it to your fellow Wurfers.